With soaring temperature outside and high humidity, the happiest time is when you get back home, turn on the air conditioner, and doze off. But it’s a common complaint of many air-conditioning users that their cooling is not up to the mark when they need it the most. While this may happen for various reasons ranging from air filter issues to tripped circuit breakers, from condenser related problems to problems in Heating, Ventilation, and Air Conditioning (aka HVAC); the most common reason for less cooling is gas related issues in the compressor. In this article, we will demystify complex terms and help you get an insight into the role gas plays in cooling your room and how by following a few simple steps you can ensure complete peace of mind in so far as getting the desired cooling is concerned. Air con gas, also known as Refrigerant, is a liquid used in air conditioning systems. It absorbs heat and humidity from the room and throws it out in atmosphere. A refrigerant changes its state from liquid to gas and gas to liquid depending on its requirements. Till the 1990s, harmful CFC (aka Freon) was used in air conditioning. From 1990 onwards, it was replaced by HCFC or Hydrochlorofluorocarbon, although the presence of chlorine in HCFC based cooling systems made it hardly any better than CFC based systems. Recently, air conditioning manufacturers have invented another refrigerant called Hydro Fluoro Carbon or HFC. This new set of refrigerants are proven to not deplete ozone layer and thus somewhat reduce the harmful effect of global warming due to use of air conditioners. But the best innovation in this field has been Hydrocarbon or HC based refrigerants. Being Halogen free, this refrigerant is way better than the existing refrigerants available in the market. Majority of air conditioners use HCFC based refrigerant. Because of its ozone layer depleting characteristics, many developed nations have decided to phase out its use by 2020. Hence, if you still possess an air conditioning system which uses HCFC, getting the gas recharged in case of a leak can cost a fortune as most HVAC contractors only get a limited supply of HCFC refrigerants. 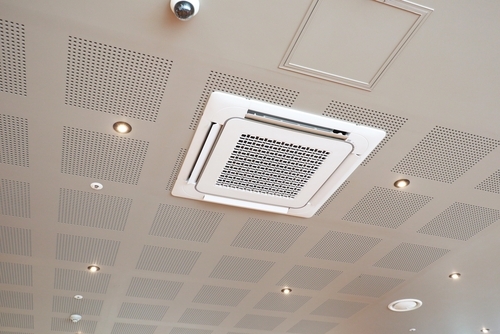 Air con gas may leak for various reasons like acid rain, toxic fumes, proximity to coastal region, and poor fittings. 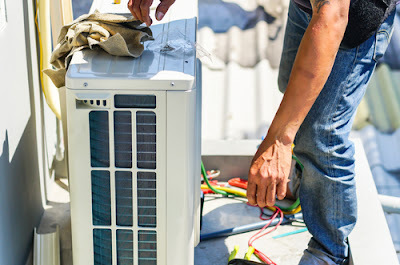 In order to ensure that your air conditioner stays on prime of its health, call an HVAC contractor to tune-up your system to diagnose and repair any potential leaks. 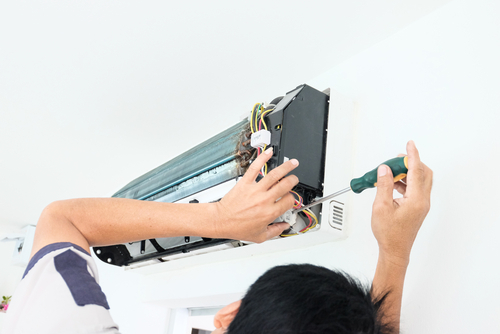 During tune-up, ask your HVAC contractor to pay special attention to Dryer Joints, Accumulator Joints, Stainer Joint, Stopper Filter, Capillary Valve, and Condenser Coil. Due to refrigerant leak or low refrigerant, an air conditioning unit doesn’t cool properly. An incorrectly wired thermostat accelerates the problem by triggering both heating and cooling system at the same time. Insufficient refrigerant struggles to remove heat from your room as the system has to work vigorously to gratify the need of the thermostat. Prolonged use of air conditioner without maintenance reduces the life cycle of the coils as well as the line sets which further aggravates the pressure on the refrigerant. Hence, whenever you find that with the same kind of air conditioner usage, your electricity bill is more, it’s time to conduct a check. In order to save yourself from escalating electricity cost, it’s prudent to call an HVAC professional to refill the refrigerant or repair any leak. You must be a bit careful at the time of choosing any air con professional. Just make sure the person you are calling has a good experience in dealing with air cons. In case of low gas in air conditioning unit, vaporization often remains incomplete. Due to incomplete vaporization, water leakage takes place. Water leakage may also happen due to congested drain pipe, old drain pan, dysfunctional condensate pump, and unclean air filter. But more often than not, the main culprit behind all water leakage problems is refrigerant, since low level of refrigerant reduces the air pressure in the system leading the coil to melt. An air conditioner is more of a utility than a luxury. And in order to maintain your air conditioner for a longer period of time, you must take proper care of it. Ideally after every three months, you should schedule a service of your air conditioner. And if after inspection, the technician find that the gas level in your air conditioner has dropped by more than 10%; then it’s high time that you top-up the gas. Be it a 24 x 7 office or a house with ailing people, there are places which can never think about turning off its air conditioners. More usage means more load on the compressor; enhanced load on the compressor means more gas consumption. Also, in automatic air conditioners, the compressor turns off when the room temperature attains the set temperature. But, sometimes, the compressor turns off even when the temperature is nowhere near the set temperature. This is a common problem associated with low gas. Hence, it’s good to top up gas at frequent intervals to achieve desired cooling. After a hard day’s work, the least one can endure is discomfort during sleep. Research conducted by HVAC engineers have found that an average human body functions at its best when the temperature is around 25% Celsius with humidity not exceeding 50%. Recent technology is the field of air cooling has led to innovations which not only ensures your air conditioning cools perfectly but also cleans dust and germs to give you that flawless health which you forever wanted. Maintaining an air conditioner is often more technical than DIY. But checking up the refrigerant or gas at frequent intervals can surely take most of the pain out of the complex processes.